Do you have a friend or family member who has started their own business? You probably have a few. Maybe they started a multi-level marketing business, or started making things to sell, or started a blog or youtube channel. There are so many ways in which people can start a business easily without an unrealistic startup cost. You may be worried about them hassling you to buy their products, or in the case of MLM, join their business. Some people can be really pushy, which is annoying, but this is a situation where you need to just be firm when you say no. 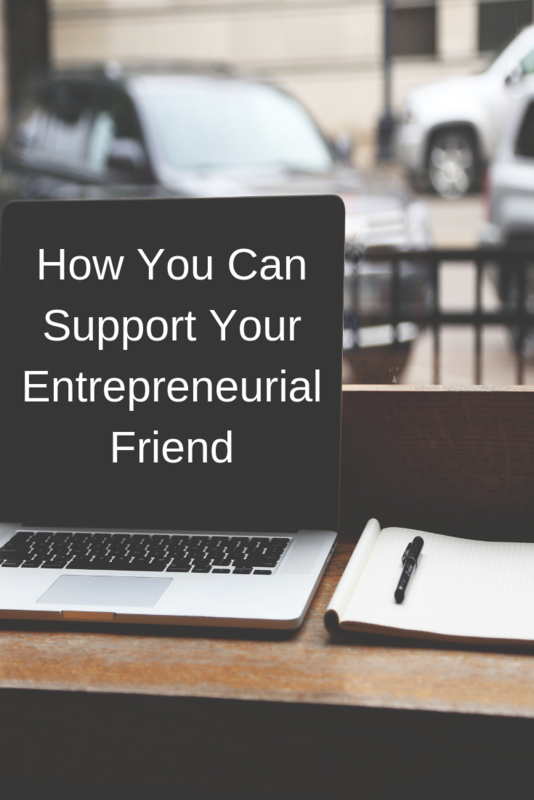 There are plenty of ways to show your friend that you support their business, and help them without joining a business or buying a bunch of stuff. You don’t have to share everything a friends posts on their business page. That would drive your friends crazy! But if they post something that you are interested in, like a product, blog post, youtube video, share it. You may help your friends get another follower or 2, or maybe even a sale. Pinterest is wonderful! So many bloggers get a ton of traffic using Pinterest. If you have Pinterest, and one of their products on Etsy fits into one of your boards, go pin it. If their blog post talks about something you have a board about, pin it. If their website has something beautiful, pin it! This is just a wonderful way to help get their stuff out there. You can even go to our Pinterest pages and share our pins, which helps drive traffic to our Pinterest pages as well. In case you can’t tell, I am super loving Pinterest right now! Ask if it’s possible to try out a product before purchasing. Being able to give feedback is very helpful to any business person, whether you decide to buy or not. If your entrepreneur makes something that can be worn, ask if you can wear it for an Instagram post, where you will include in the caption where you got the item from. Or if they make something that you can use and have a photo taken of you using it, you can also caption that. This is more directed at your MLM friends. The most common way they share their products is through home parties. Depending on the person, these parties can be a lot of fun! You are also giving your friends a chance to share their products with people they don’t know yet, which expands their network. If your friend makes things that they sell, you can also suggest a similar type of party. I would love to have a bunch of dog owners come to my house to drink wine, eat snacks, and look at my dog accessories. Word of mouth has been and still is one of the best forms of advertising. When you’re chatting with someone out and about, and the right subject comes up, say something about your friend. For example, if my friend is talking with someone about their dog, they can say “oh, my friend Tara makes dog accessories and sells them on Etsy, you should check her out” and then carry on with the conversation. Or someone is complaining about a problem they are having with their skin. “I have a friend who sells Arbonne, and she might be able to suggest a product for you” Some business people also have a referral bonus for their friends who bring a customer to them. Of course, this is one of the best ways to support your friend. When you buy and use something, you can easily recommend it to others from a personal experience. I am not expecting all of my friends who read this will do all of these things, and you aren’t necessarily a bad friend for not doing these things, but if you really want to help your friend out, and can’t buy too much of their stuff, these are great ideas to show them you wish them success and believe in their business. And I can assure you that we all really appreciate it!